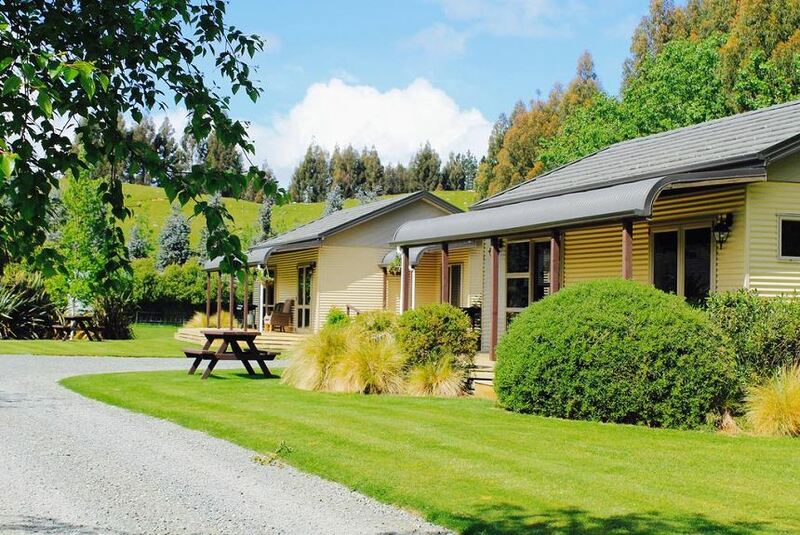 We have 2 x 2 bedroomed cottages (self catering) and 4 rooms in our Lodge ( B & B) on our 20 acre farmlet, located on the Southern Scenic Route, between Te Anau and Manapouri. We are conveniently located to visit either Milford or Doubtful Sound and the Glowworm Caves, and are just a few minutes drive from the bustling township of Te Anau, where there are many restaurants and cafes. On our property we strive to be as self sufficient as possible, producing our own beef, lamb, pork, eggs, poultry and vegetables. We have been entertaining guests for the last 12 years. Our guests are welcome to help themselves to our bountiful vegetable garden in the summer time. arranged for. I am a keen runner and enjoy participating in Ultra Marathon Mountain Races and Dean is a Professional Fly Fisherman and is NZ's only ORVIS endorsed Guide (prior booking is essential). Each cottage has a double room and a twin room. In the twin room there is space to place a rollaway bed for a third small child.